DF3 antigenic determinant (290,000 daltons) on the MAM-6 molecule, a high molecular weight (>400,000 daltons) mucin-like glycoprotein. The DF3 antigen is present in high levels on apical borders of differentiated secretory mammary epithelial cells and in the cytosol of less differentiated cells. Malignant tumors display cytoplasmic expression while in benign tumors, expression is seen on apical surfaces. 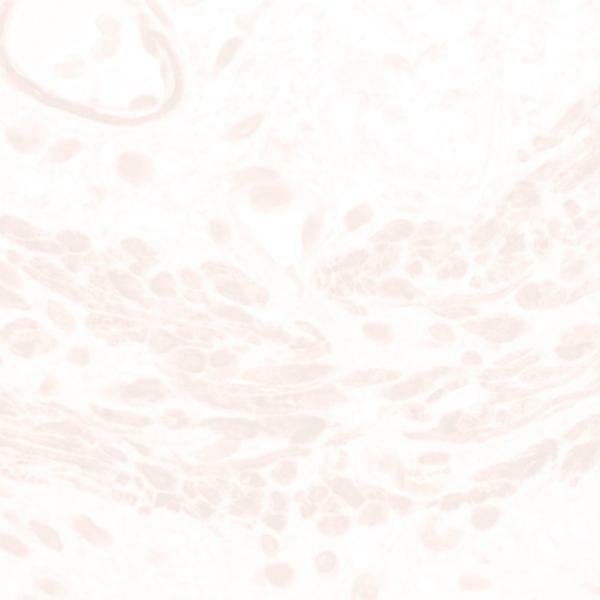 The DF3 antibody reacts with a large proportion of primary breast carcinomas and breast tumors metastatic to axillary lymph nodes or distant sites, and with 95% of benign, borderline and malignant tumors of the ovary. Reactivity with lung and colorectal carcinomas has also been demonstrated.